Circa Telecom manufactures, markets, and sells surge protection and related equipment to the telecommunications industry. The company offers indoor and outdoor building entrance terminals, central office connectors, various surge protection modules, station protection enclosures, outdoor cabinets, high density protection devices, category 5 protection devices, and 5 pin module testers. Its products provide primary protection against voltage surges to telephone systems and other data transmission systems. The underlying principal behind protection is simple: install a suitable protector unit into your telecommunications and networking equipment. Different types of protector units have been developed to provide the best possible protection for different types of equipment. Circa also provides a wide selection of protection panels which are used to house multiple protectors. 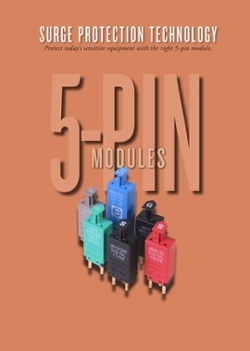 Panels and terminals for 6, 12, 25, 50, 100 pairs and beyond are available with an impressive array of customer connection and termination options.